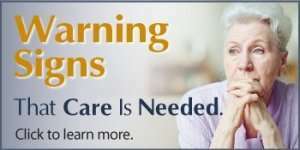 As providers of the high-quality in home care North County and San Diego CA seniors need and deserve, we strive to be a professional senior care resource for the members of our community. As dedicated caregivers, we are committed to finding the very best solutions for our clients and their family members, and we strive to provide resources that those searching for senior care services in the San Diego County area will find helpful. On this page, you will find the information and resources you need to help you navigate your home care journey. Covering all of San Diego County, ElderHelp is a non-profit organization comprised of professionals and community volunteers committed to offering quality elder care services that help seniors live independently in their own homes. Learn the basics of home care terminology and find links to local resources helpful to seniors in the San Diego area. San Diego County’s Aging & Independent Services seeks to improve and better coordinate long-term care services for the elderly and people with disabilities, as well as their caregivers and service providers. Learn about Medicare benefits and long-term care for people who live in California. A resource list including assisted living facilities, memory care communities, a Senior Living Cost index and more. A list of designated, air-conditioned locations for seniors and those with disabilities to escape the extreme heat in San Diego. Legal resources from the American Bar Association to better equip you to understand elder law rights, guardianship, health care decision making and more. The Alzheimer’s Association has both local resources by zip code including support groups, as well as national resources and a large amount of educational material. HCAOA represents more than 2,700 member organizations and over 500,000 caregivers providing private in-home care services for the elderly and disabled. Look here for information on the industry and how it may affect you and your loved one’s care. 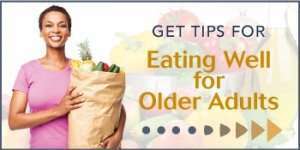 A national organization with a mission to help people aged 60+ meet the challenges of aging. By partnering with nonprofit organizations, government, and businesses, NCOA provides innovative community programs and services, online help, and advocacy. Learn about aid and pension benefits for those seniors who are United States veterans. At San Diego Home Caregivers, we’re dedicated to helping you find the senior care resources you need in order to make healthy, informed care decisions. Contact us any time if you need further assistance in finding in-home care solutions for your family.